The eighth annual Best Translated Book Awards (BTBA) were announced at BookExpo America last week, with Can Xue’s The Last Lover, translated from the Chinese by Annelise Finegan Wasmoen, published by Yale University Press, taking home the award for fiction. “I’m so excited,” Can Xue said, “I think it’s the most beautiful thing that has happened in my whole life. I always think of the BTBA as very prestigious prizes rewarding writers who have the great courage to achieve their literary ambitions.” The jury decided The Last Lover was the most radical, uncompromising and original of this year’s finalists. If Orientalists describe an East that exists only in the Western imagination, Can Xue describes its shadow, offering a beguiling dream of a Chinese West. Annelise Finegan Wasmoen’s translation crafts a powerful English voice for a writer of singular imagination and insight. Sonny Liew, the Singapore-based illustrator who also happens to be Asian Books Blog's correspondent for graphic novels has been much in the news recently. 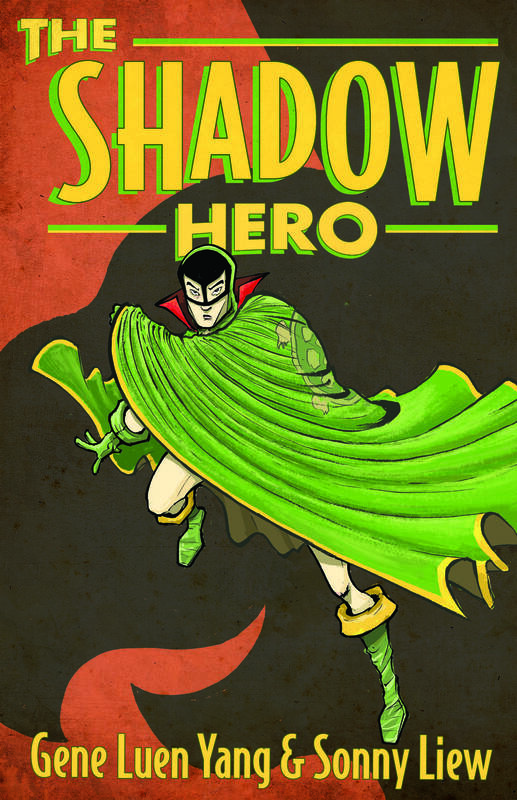 On the plus side, he's been nominated for the Eisner Awards for Sequential Art, in the category Best Publication for Teens, for The Shadow Hero. The judges will make their decision in April, and the awards will be given out during a gala ceremony during Comic-Con International, in San Diego, in July. Less positively, the National Arts Council of Singapore has withdrawn a grant of SGD 8000 for Sonny's latest novel The Art Of Charlie Chan Hock Chye, published by Singapore-based Epigram Books, because of unhappiness over the content. For more details click here. Sonny's new monthly series Doctor Fate, for DC Comics, is launching in mid June. Sonny's Singapore publisher, Epigram, is launching a new annual literary prize of SGD 20,000 - the richest literary award in Singapore. It is to be awarded to a Singaporean, Singaporean permanent resident or Singapore-born author for the best manuscript of a full-length, original and unpublished novel written in English. The first winner will be announced at this year’s Singapore Writers Festival in November, and the winning novel will be published by Epigram.“We want to reward excellence in contemporary Singapore creative writing and to encourage the readership of high-quality Singapore literature by publishing the winning and shortlisted entries.” Said Edmund Wee, Publisher and CEO of Epigram Books.” For more details of the prize, click here.